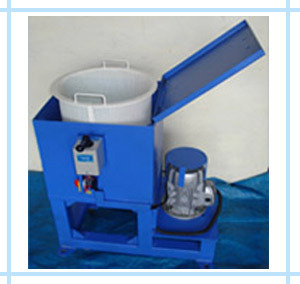 Oil recovery centrifuge can be used for various applications including Gear Manufacturing, Fastener Manufacturing, Spring Manufacturing, Gun Drilling, CNC Machines, Auto Components etc. Recover Oil from Machining Chips & Components. Oil Recovery Centrifuge works on principal of centrifugal separation. Rotor bowl made of perforated steel screen is driven by motor. 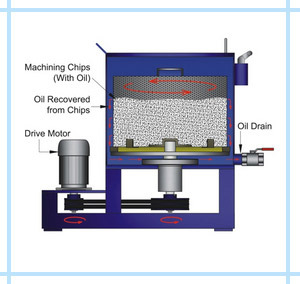 Chips / Parts from which oil is to be recovered are loaded in the rotor bowl. Centrifugal force created in the rotor separates oil from surface of Chips / Parts. Collected oil is drained out by opening valve provided at teh bottom of unit. Reduced pollution and environmental impact.